Tally the first 100 days and teach counting by tens, grouping, patterning, and many other math basics. Makes a colorful job chart too. 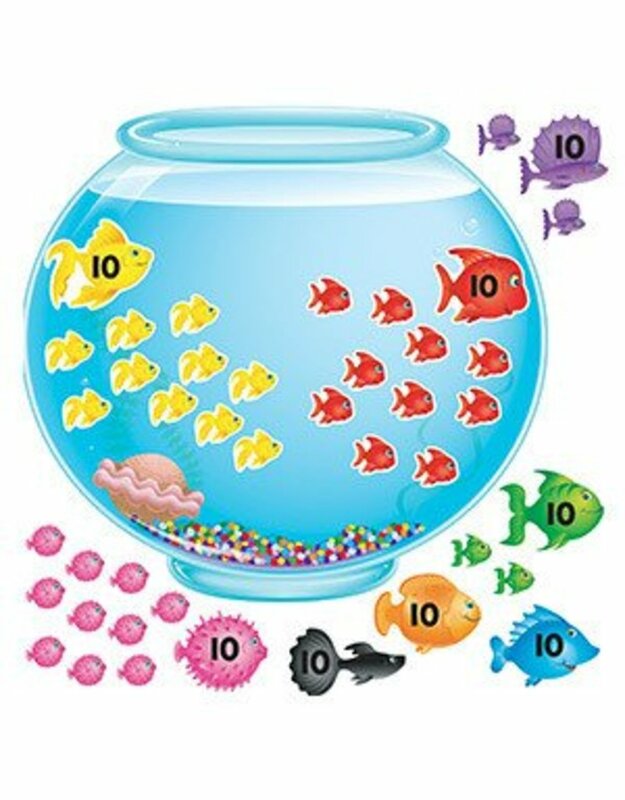 Includes 10 big fish in different colors, 110 small fish in 10 colors, and a 25" tall fishbowl. 121 pieces. Includes a Discovery Guide with creative activities that teach and delight!